The 2017 League of Legends World Championship Play-In Stage continues as the teams from Group C and D got their first opportunity to battle on the Worlds stage. 1907 Fenerbahce Espor was something of a question mark entering this group, entering as a Turkish wild-card missing their veteran jungler Min Su “Move” Kang (due to visa issues) while sporting Korean journeyman Tae Il “Frozen” Kim. 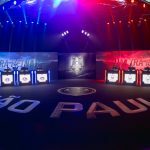 They quieted some of those questions and ended day one 2-0, making it clear that they are major contenders to advance past the Play-in Stage. Fnatic was expected to be a powerhouse in the Play-In Stage, and in spite of some close calls, they confirmed their strength and also ended the day 2-0. Young Generation lived up to their name, generating an early 3-0 lead due to superior roams and teleports. But that lead failed to mature into a mid-game advantage, as KLG outperformed YG in both teamfights and objective control. KLG narrowed the YG lead to 5-4 before deciding on a 24-minute Baron that YG was simply unprepared to contest. KLG’s Juan “MANTARRAYA” Abdon became gargantuan on Cho’gath, and YG was helpless against his onslaught. MANTARRAYA’s triple-kill of the YG squad gave KLG both a large lead and the Baron Nashor buff, and KLG used both to dismantle the YG base. KLG closed the game out only a few minutes later, destroying the nexus at the 39-minute mark to start the day 1-0. HKA has been oft-dismissed entering this tournament as the worst team of the major regions, but they quieted some of that criticism with a complete whitewashing of Rampage. HKA jungler Cheung “Godkwai” Wo Kwa bullied all three lanes, leading his team to a 7-0 lead before claiming a 21-minute Baron Nashor. Rampage had no answer to the HKA onslaught and didn’t win a single skirmish the entire game. HKA steamrolled the Rampage nexus after 25-minutes with a dominating win to start the day. 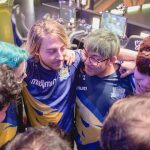 Most EU fans view FNC AD carry Martin “Rekkles” Larsson as the anchor of the team, and KLG quickly learned why. He turned a failed gank by KLG into a FNC First Blood with ease and put out mountains of damage in fights around the bottom lane. KLG looked to have found a positive skirmish near the dragon pit early in the game, but a well-positioned Rekkles turned the fight around and created a 6-2 kill lead for FNC. FNC was superior in nearly every way, winning easy skirmishes in every lane before calling for a game-ending 21-minute Baron. One last Baron-empowered push left the KLG base in ruin and FNC ended the 25-minute game to move to 1-0 in the group. Many predicted the #1 seed in Group D to be a toss-up between these two teams, so this game was crucial to the make-up and structure of the rest play-in stage. Both teams played cautiously early, with HKA securing the first kill 11-minutes into the game, and FB securing the second kill 20-minutes in. HKA shocked Fenerbahce at the 20:45 mark by pushing through three turrets and an inhibitor with a well-timed Eye of the Herald. Super-minions were now applying pressure to the Fenerbahce nexus, so HKA began a risky Baron Nashor. This play backfired horribly, as HKA was outplayed in the resulting teamfight leaving four HKA members dead in exchange for one FB member. Fenerbahce suddenly became confident in their ability to teamfight, killing the entire HKA roster. Their confidence became over-confidence as Fenerbahce AD carry Ege “Padden” Acar Koparal dove into several HKA members. HKA secured another kill and moved to the Baron Nashor, but Fenerbahce jungler Dong-woo “Crash” Lee made an incredible steal to keep Fenerbahce in the game. Fenerbahce successfully defended an HKA siege attempt at mid, and the two teams postured around the map before HKA attempted another Baron Nashor. 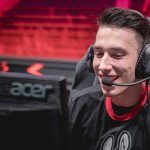 Fenerbahce’s Frozen secured yet another Baron steal! 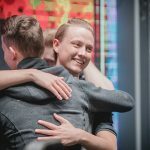 HKA’s spirit was officially broken, and Fenerbahce stormed into the HKA base to end the 50-minute slobber-knocker and take a crucial win in Group D.
YG’s mid-laner Vo “Naul” Thanh Luann kicked things off with a surprise solo-kill on Rasmus “Caps” Winther, making it clear that YG had no fear of Fnatic or Caps coming into this game. 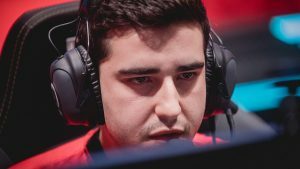 YG matched several of Fnatic’s strategic movements and looked far more comfortable teamfight than most “wild-card” teams have looked this tournament. A perilous Baron attempt by YG left three members dead but did allow them to siege and destroy Fnatic’s middle inhibitor. At this stage of the game, pauses were becoming frequent due to repeated network issues, and both teams began to lose focus. 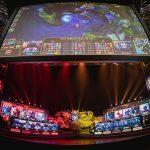 Both YG and Fnatic played sloppy around Epic monsters, but Fnatic showed the higher resiliency and captured both Baron and Elder Dragon. 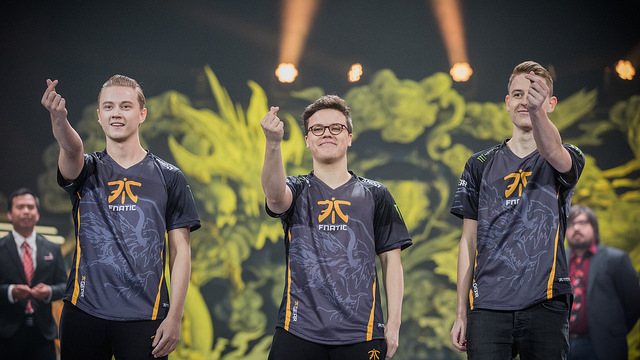 Armed with both buffs, Fnatic was in the driver’s seat and immediately began to siege YG turrets. But the lack of focus was made apparent again, as Fnatic lost both carries while attacking the YG base. YG returned the favor by rushing to take down the Fnatic inhibitor but overstayed allowing super-minions to flood their own base while losing a member in the process. Fnatic now had a 5v4 advantage, and they quickly marched to the YG base to finally end the game at the 53-minute mark and end the day 2-0. Fenerbahce jungler Crash ganked and dived early to earn Fenerbache an early 4-1 lead, and Rampage looked outmatched for the second game today. But Fenerbahce made questionable decisions in the mid-game, often getting caught alone and allowed Rampage to narrow the kill score down to 5-4. After catching Frozen in an overextended position, Rampage attempted to lure the four remaining Fenerbahce members into an outnumbered fight at baron. But this plan backfired, as an amazing ultimate by Berke “Thaldrin” Demir rooted several Rampage members in place, allowing Padden to massacre the entire Rampage squad for a Pentakill! Now equipped with a massive lead and a Baron Nashor buff, Fenerbahce easily flattened the Rampage nexus at the 27-minute mark, allowing them to end the day 2-0 and in first place in Group D.
The 2017 World Championship Play-In Stage Continues on Monday, Sept. 25th at 10:00 pm (PT) as Groups C and D battle to see who will advance to the Play-In Knockout Stage.